Access Doors not only provide an easy way to get to certain areas, they also come in a variety of styles and materials to make an unsightly component practically unnoticeable. Many plumbing applications require certain areas to be safely concealed while still allowing serviceable access. An access door is the ideal solution to meeting both of these needs. Selecting the appropriate access door is dependent on the type of installation being performed and the type of material required. 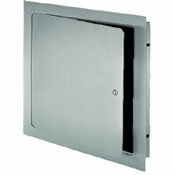 Flush mounted, recessed, fire rated, and duct access doors are all commonly used in plumbing applications. 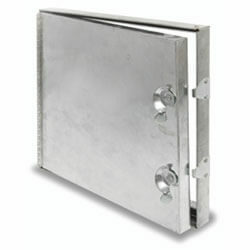 We carry a wide range of access doors manufactured by the leader in access doors, Acudor. 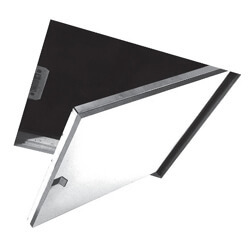 Acudor's universal access doors are designed for installations in drywall, plaster, masonry, tile, or any flush surface. They provide a clean and professional appearance. 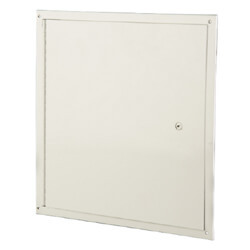 These access doors are available in variety of sizes, ranging from 6" x 6" to 18" x 18". 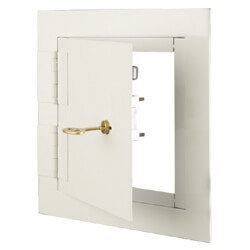 The proper sized access door is determined by the wall or ceiling opening of the application. 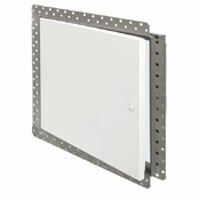 Drywall access doors are used specifically for installation in drywalls and ceilings after the drywall has been installed. Drywall compound can be applied over the beading at the same time the drywall joints are finished, leaving only the door panel exposed. 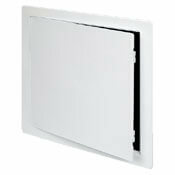 Plastic access doors are designed to provide easy access to walls and ceilings. They are made of high impact styrene plastic with UV stabilizers. 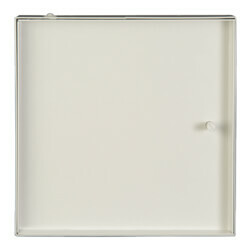 Plastic access doors have a white finish which can be left as is or painted to color-match surrounding areas. The door can be completely removed if necessary. 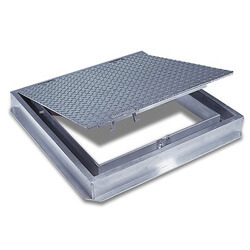 Duct access doors provide convenient access to duct components. 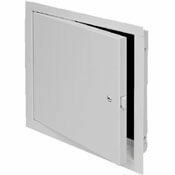 An insulated door panel and gasket located between the door and frame ensures a tight seal without obstructing the air system. Fire rated access doors are designed to maintain continuity in a 2 hour fire rated wall when temperature is not a factor. 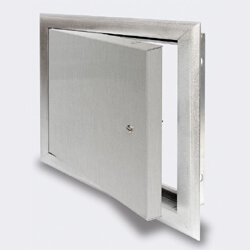 Recessed valve box access doors are designed to provide easy access to valves and controls that need to be concealed in the wall. 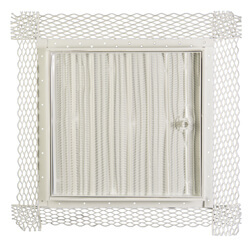 A recessed valve provides this while simultaneously protecting the valve in an enclosed box. 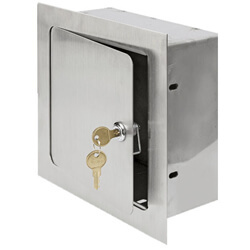 These unique boxes can be equipped with a lock.